If you grew up (or lived) in America, chances are you have heard this song at some point in your childhood. However, eventually you became an adult, and perhaps learned as I did that the idyllic sentiment portrayed in this song is often inconsistent with the reality of how we often view people who are different than we are. A few weeks ago, while reading a couple of children’s books from different cultures to Enoch, I realized that I strongly desire our children’s experiences to be different. I remember, as a child, the “It’s a Small World” attraction at Disneyland was one of my favorites. I loved seeing the diverse children and languages represented. But, my reality was very very different. Fortunately, we now live in the Bay Area, one of the most diverse places in the country, and San Francisco is an international vacation destination. We have developed relationships, and are always meeting people of different nationalities, or finding restaurants that are outside of our “norm”. And I love it. Just today at the library’s story time we were able to count from 1 to 10 in 6 different languages, because of the families present (the most we have done is 8 or 9). Afterwards, we stayed around to play for a little while, and at some point, a mom and I smiled as we watched my African American son innocently walking away holding the hand of her Laotian daughter. I ABSOLUTELY LOVE IT!! And, in light of recent events and all of the conversations and comments I have read about race, culture, tension, etc., etc. I realized that it is time. I often hear that we should be “color-blind”. I disagree. Much like I marvel over the beauty of a sunset and a sunrise, or I am enamored with the vastness of the ocean and the desert, or am in awe as I drive looking up to mountains, and down at the valleys – I believe God created the nations. And, “It is good.” There is a richness to be found in cultural diversity, and we do not want fear, arrogance, ignorance or complacency to hinder our family’s ability to experience the beauty to be found in all of God’s creation. So, I am launching “World Wide Wednesdays”. Every Wednesday, I will post about our journey as we seek to introduce our children (and ourselves) to the world that exists beyond our little neck of the woods. It may be a photo and “interview” with a friend or a stranger. It may be a restaurant, or cultural event, or simply a book, activity or recipe. Whatever the exposure or experience, I am fully expecting that there is much to be learned, much to be seen, much to be experienced, much to embrace and much to celebrate. 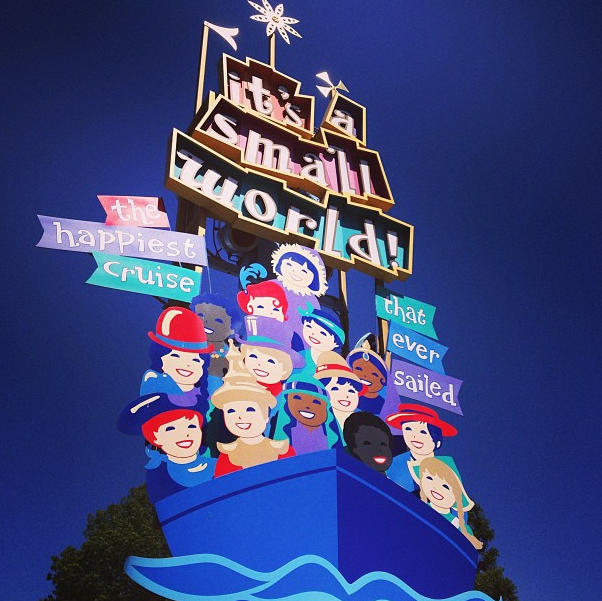 What I also surmise we will all learn is that in spite of the vast differences, it is still “a small world after all”.